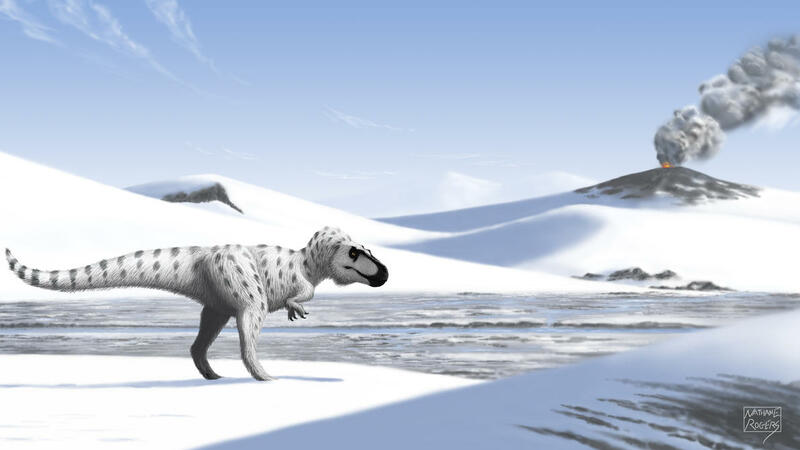 i think it is about time that we have a thread about great paleo art we come across the internet and post them here. 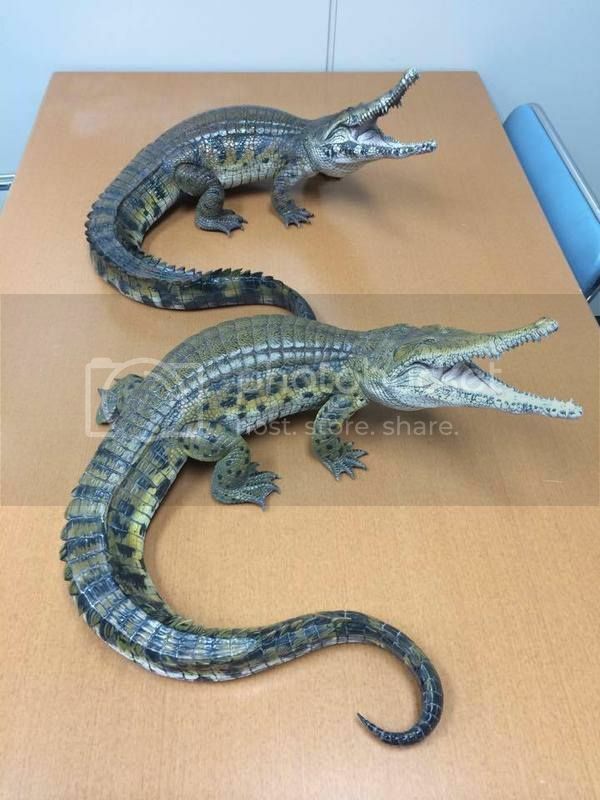 please state the genus (and species if the info is available) and credit the artists who created the illustration or sculpture. we are also open to discuss the shortcomings/merits of a certain work and whether it is highly accurate or flawed in certain ways. Found this one by chance on Tumblr. 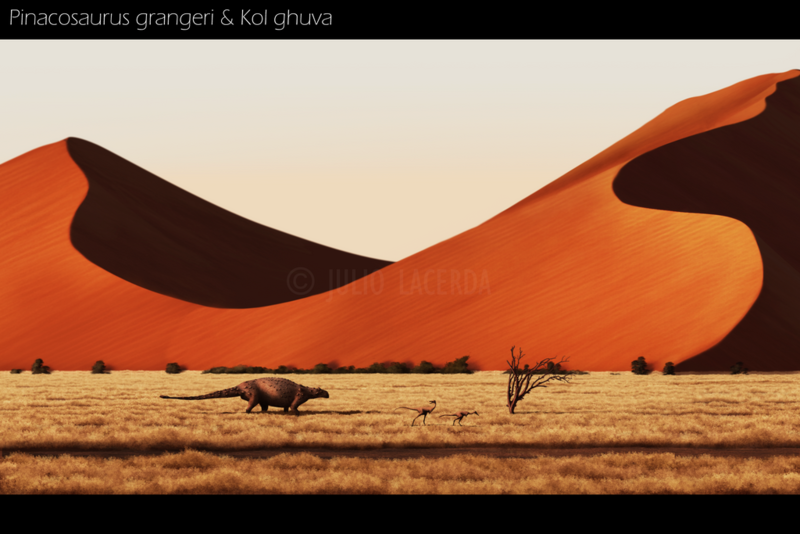 It's one of the best pieces of PaleoArt I've seen. 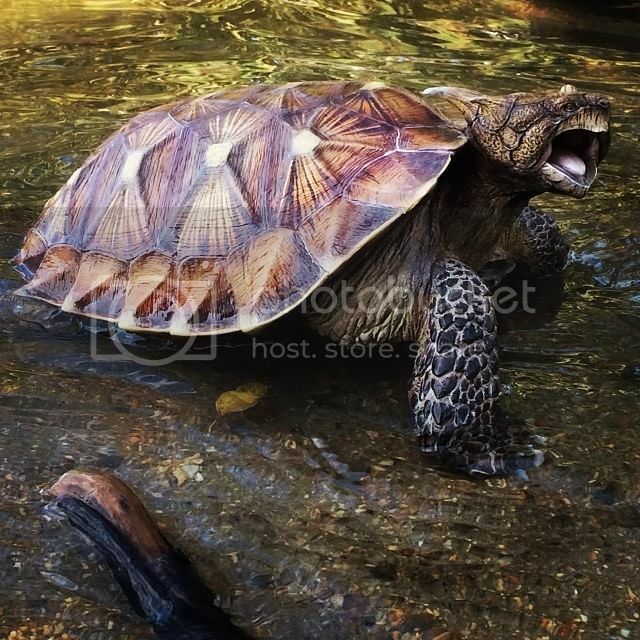 I love it when prehistoric animals are portrayed with the behavior and looks of modern animals, it makes them so much more real. 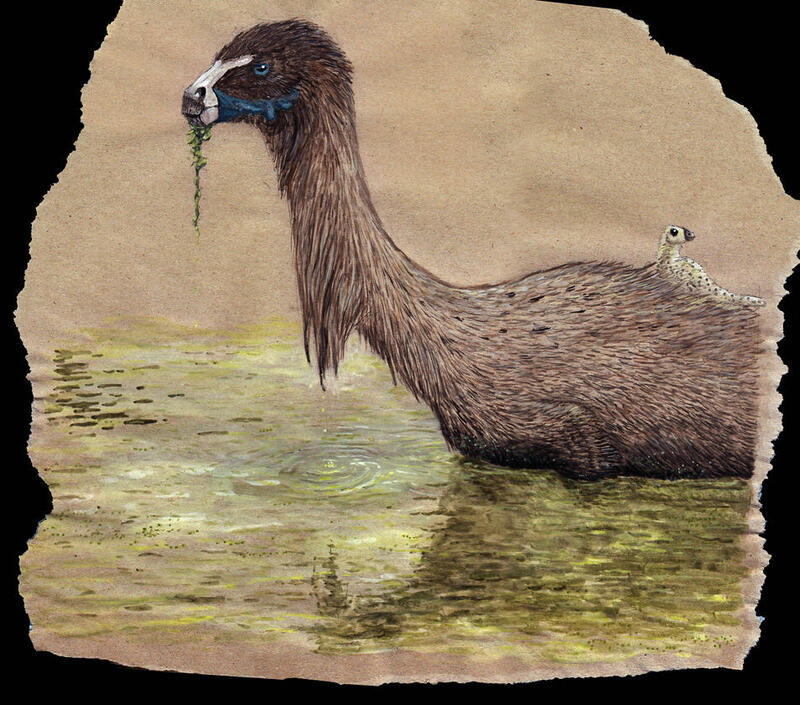 Sometimes you see images of dinosaurs, and they just look like fantasy monsters in a fantasy world, but they were just animals doing normal animal things. The one below shows three pliosaurs, probably Liopleurodon or Pliosaurus, during sunset. 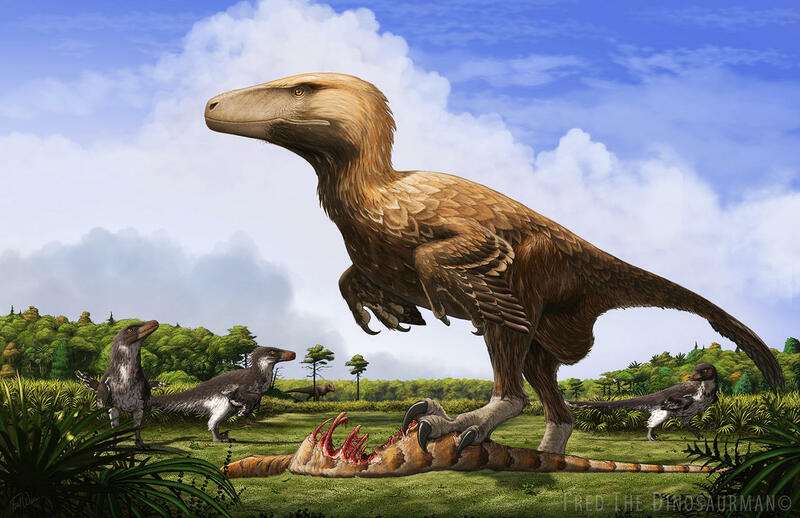 One is being groomed by small pterosaurs, while two in the background are ''dancing'' like humpback whales do. 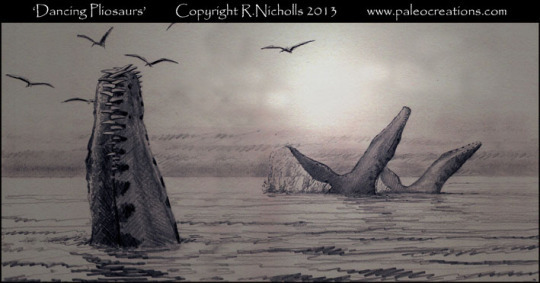 ''Dancing Pliosaurs'' (genus not stated) by R. Nicholls. Acrocanthosaurus atokensis by Apsaravis on DeviantArt. Love the colors and protofeathers on this one! 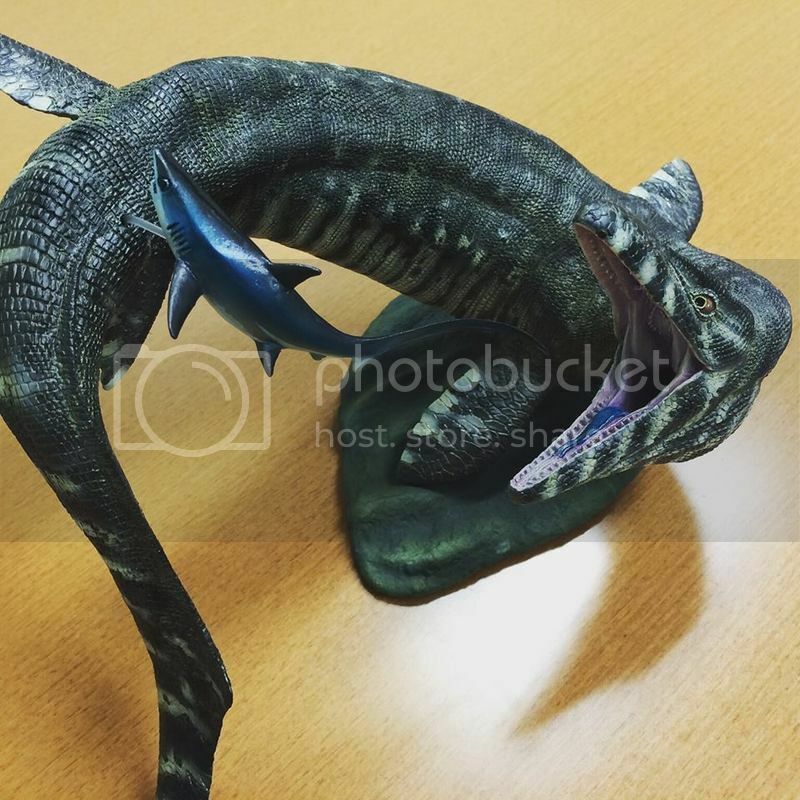 Buitreraptor gonzalezorum by DELIRIO88 on DeviantArt. 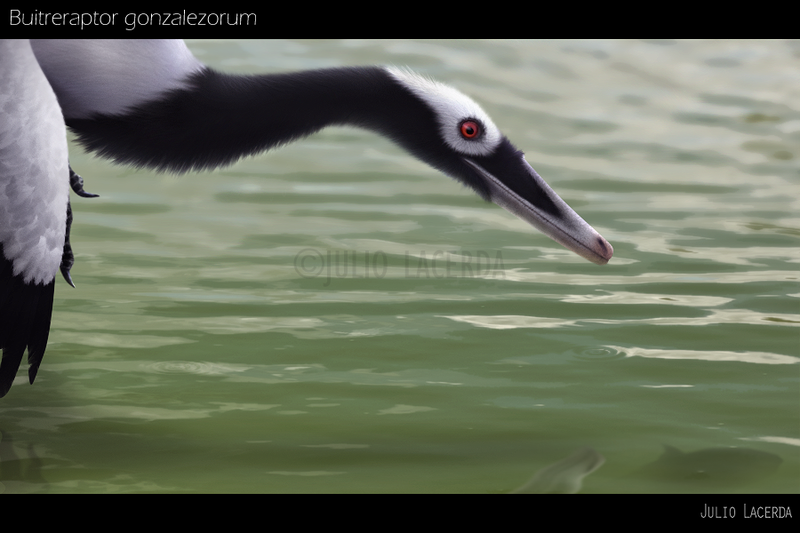 Buitreraptor gonzalezorum by Julio Lacerda. 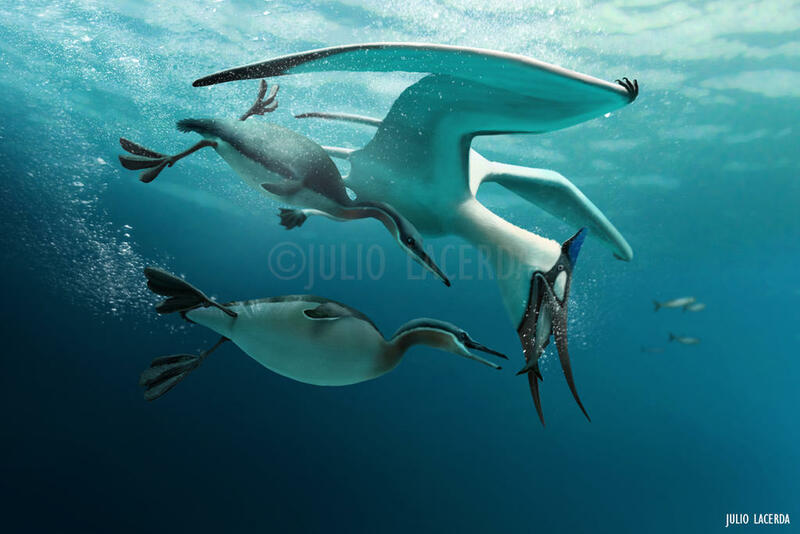 Female Pteranodon and Hesperornis by Julio Lacerda. 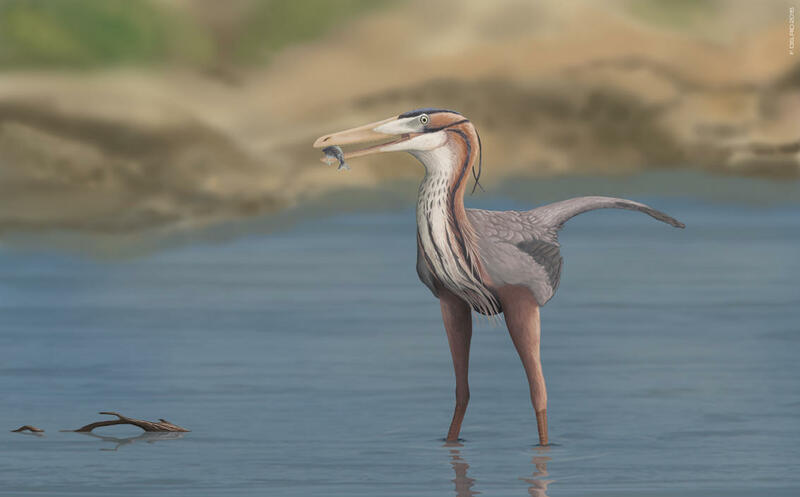 I like the idea of a pteranodon diving like that, but is it possible for a pterosaur to have taken off from the water? Well, there are some papers on that subject, but I'm not sure what the current theories about pterosaur movement in water are. Anyway, it sure looks cool! There are a few studies that i know have looked into this, but it definitely depends on the species and how pelagic the lifestyle was, along with forelimb mechanics. 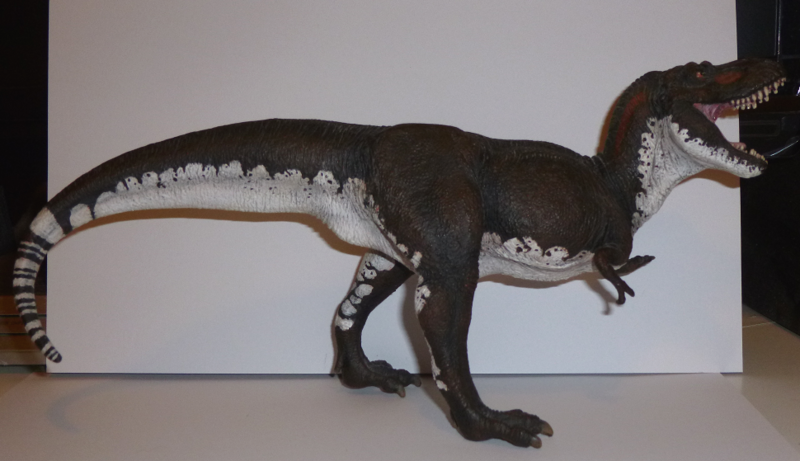 I seem to remember multiple blog posts by Mark Witton on the subject, and I remember that ornithocheirids seemed to have been able to, I don't know if Pteranodon was mentioned at all however. I'd imagine because of it's lifestyle it would have been a good adaptation to have. ''Brushfire'' by Abiogenesis on DeviantArt. 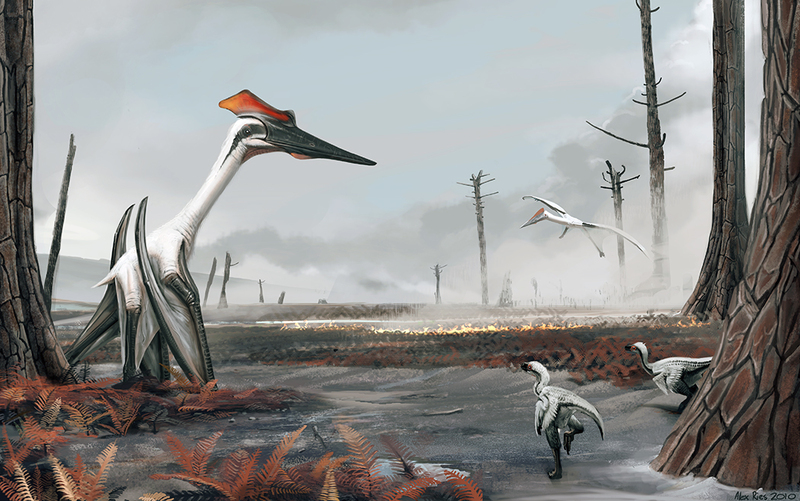 Quetzalcoatlus and Troodon. 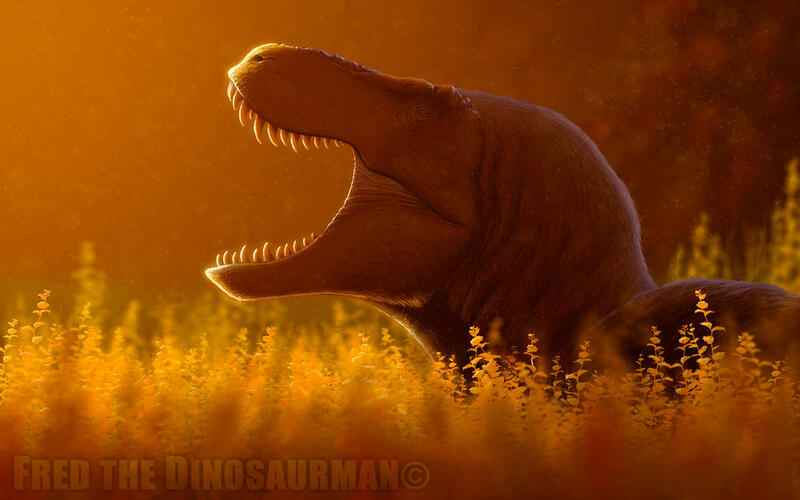 ''Resting Tyrannosaurus Rex'' by FredTheDinosaurman on DevianrtArt. Tyrannosaurus rex. ''Arctic Tyrant'' by Nathan Rogers on DeviantArt. 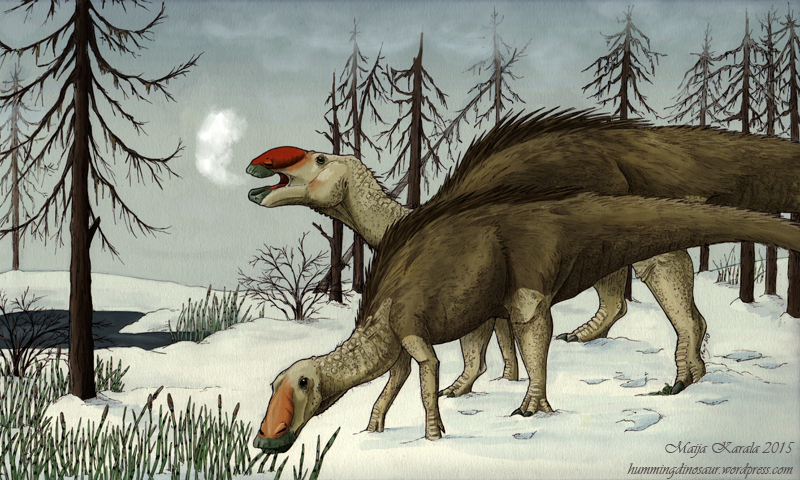 Nanuqsaurus hoglundi (you could've guessed it ). 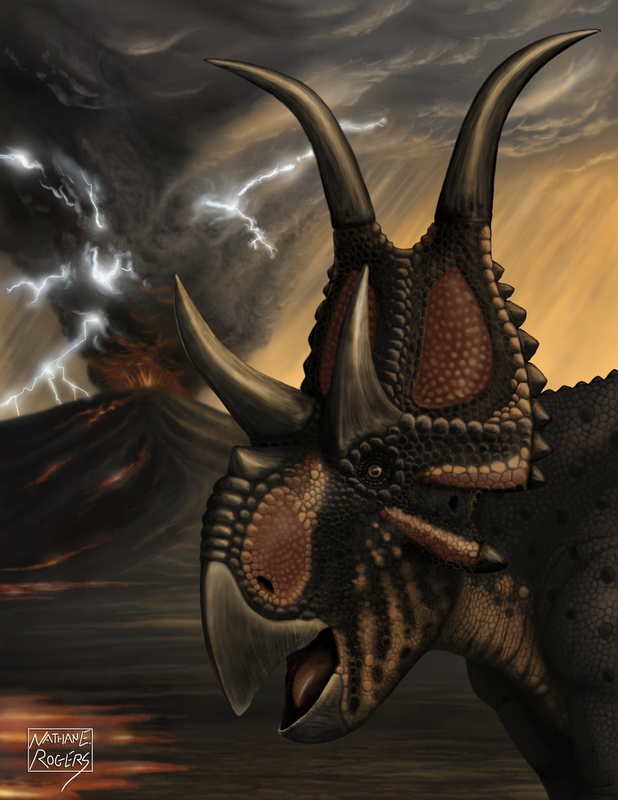 ''Diabloceratops'' by Nathan Rogers. Diabloceratops eatoni. Has anybody heard about Jeff Wells? I have just come across this article on the internet. Inevitably, underlying instabilities begin to appear. 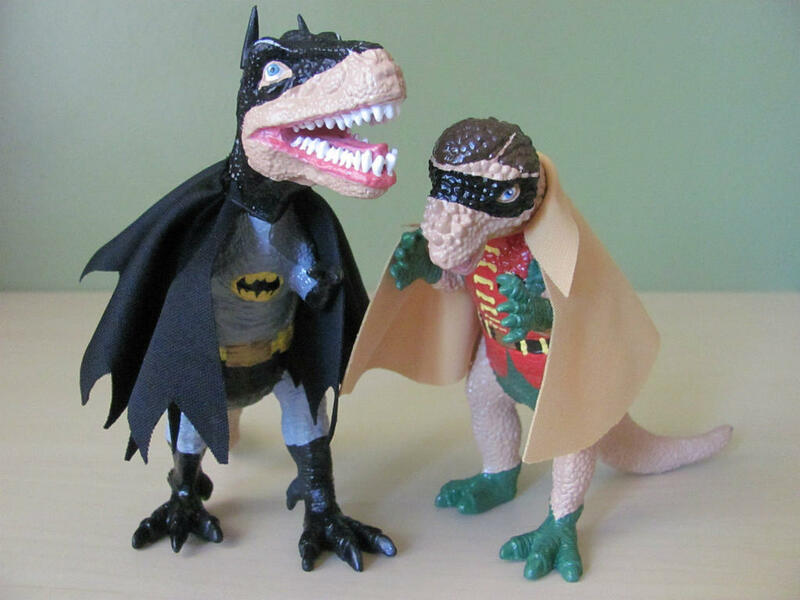 Wow, love the homemade look of his dinosaurs. They have such a whimsical feel, like they stepped out of a children's story book. which one TQ? the two Mosas by the two artists are both brilliant. The last one (tiger striped) Although the other one is beautiful too. OK, this is silly but I love it. Stock art by LakeSpirit3. 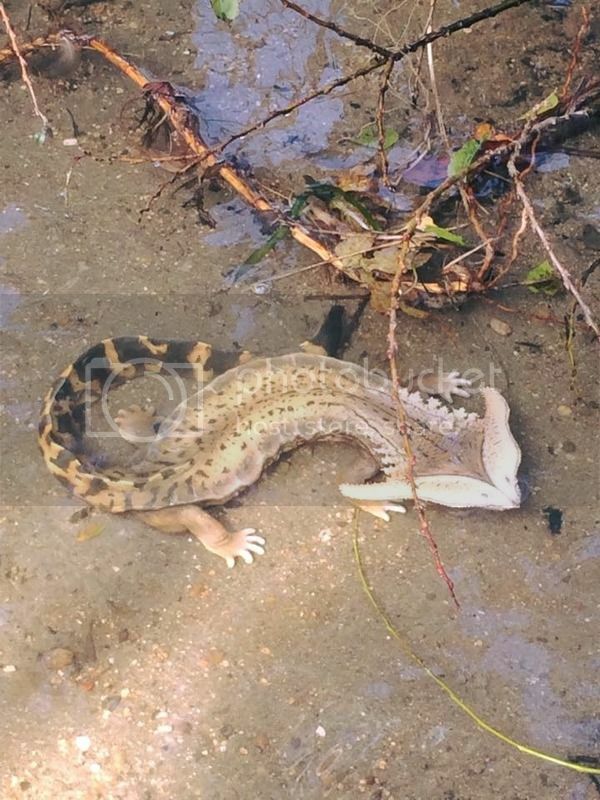 Is it scientifically accurate? Nope. Is it absolutely freaking adorable and am I jealous of those little kids? Hell yes! The march of so many dinosaur genera, from the smallest to the biggest.